When one of our clients was affected by the notorious Wannacry ransomware attack in 2017, they turned to a trusted source for help and were bowled over by the technical savvy and impressive level of service received from Mike Love, CEO of local software company, Symbiotics Application Services. After suffering one frustrating setback after another with a local ISP, the client’s IT Manager decided to consult with Symbiotics about their Amazon Web Services (AWS) Solutions as they felt they needed to have control of our own environment and to ensure that the environment was scalable. Symbiotics collaborated with the client to architect a solution. With some reservations with the holiday season fast approaching the IT Manager felt they had a mammoth task ahead of them. However, he was impressed with the way in which Symbiotics could take a complex situation and break it down into simple solutions. During what has historically been a season fraught with crashing servers, Symbiotics’ Mike Love and AWS Solution Architect Melanie Mauch worked closely with the client to ‘lift and shift’ the contents of all existing servers into the cloud and for the client, the proof was in the pudding. The project took place over a three-month period, which included the month that the two systems were run concurrently to enable production level parallel testing. The client immediately saw several improvements and benefits during this phase, not least of which is the ability to customize instances in a matter of minutes as opposed to hours, or even days. Not only did our client enjoy his most relaxing holiday in years due to system stability, but he also noted several other significant improvements in the system’s overall operations. AWS provides for better redundancy, scalability, and security. He also cites a more positive shift in his staff’s approach to the system. His team of developers is now working towards being AWS certified this year. With the success of the move and the significant time saving, the client’s developers can now focus on optimizing their systems. The current system is vertically scalable, and work will soon begin to ensure that it is also horizontally scalable and provides protection from failures that may occur in existing services. 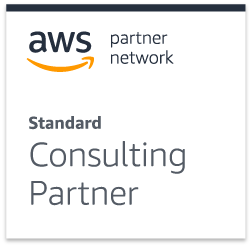 The client is currently planning the system changes required to better leverage cloud architectures and AWS technologies. A critical initial step in the ‘lift and shift project’ was the migration of DNS management for the existing domain and transfer from the current DNS provider to AWS Route 53. Leveraging the advanced capabilities of Route 53 allowed Symbiotics to quickly add new records and establish advanced name resolution and routing strategies for testing as they migrated servers into AWS without affecting existing production services. Once that was in place, a Virtual Private Cloud (VPC) was created with security zoning and network segmentation as a top priority, as well as the networking infrastructure and configuration necessary for correct operation of the VPC. Additionally, a VPN was set up to provide secure access to the network while ensuring that client specific instances are not unnecessarily exposed directly on the Internet. The move to AWS required a “lift and shift” of several types of both Linux and Windows servers. These include web, application, FTP, SFTP, SMS, and the migration of twelve databases on three separate Microsoft SQL Server instances. The primary objective of this exercise was to establish stability. Not only was this achieved, but we managed to do it while halving their monthly bill. Roads Taken Are you being left behind in the world of technology driven business?